Kramer’s character was based off of David’s former real-life neighbor — a man named Kenny Kramer. The real-life Kramer was paid $1,000 to use his name in the series. 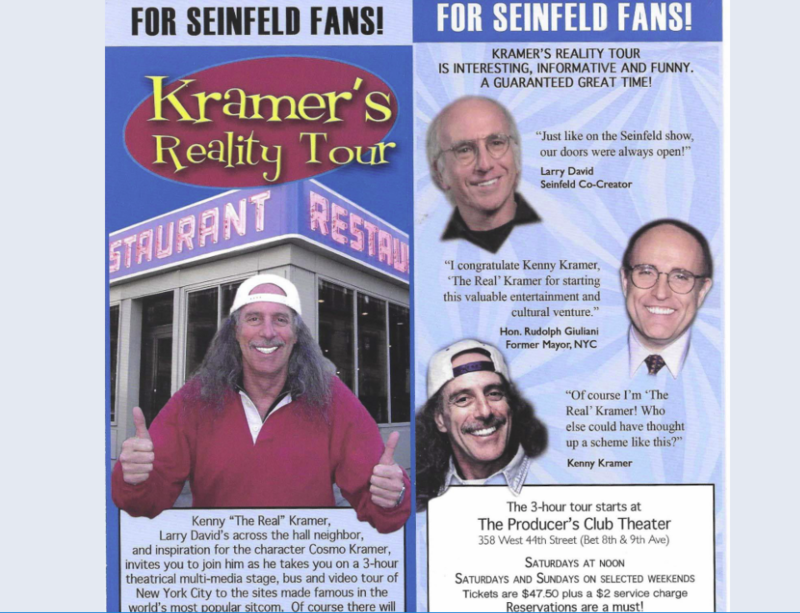 Though he didn’t benefit monetarily off the show’s wild success, he did create a business entitled Kramer Reality Tour. To this day, the real-life Kramer shuttles tourists around on a bus-service. He divulges secrets about the show, as well as the history behind the character itself.